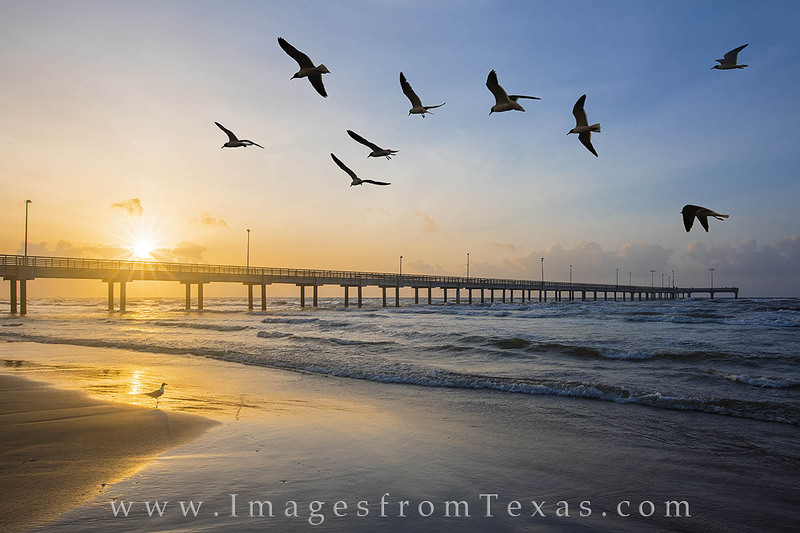 With Caldwell Fishing Pier strething 1200 feet into the Gulf of Mexico, seagulls float in the breezes along Port Aransas beach. The sun was just peeking through the clouds, bringing sunlight to the morning in a splash of golden orange light. Photo © copyright by Rob Greebon.